If you haven't heard about Make-Up Revolution, then WHERE HAVE YOU BEEN?! This is the latest beauty brand on the block and they're really packing a punch. Their blush lacquers and lipsticks have been tried and tested by most beauty fanatics out there, but what has really caught every make-up addicts heart is their incredible eyeshadow palettes. When the Make-Up Revolution stand finally made a grand appearance in my local Superdrug, I snapped up the product I'd had my eye on for ages...the Flawless palette. This is one of the bigger palettes, so if you wanted something half the size then their Iconic palette range would be perfect for you. The 32 colours you get within this palette range from pale shimmery shades, to rose golds, neutral browns and dark blues. Seeing as these kind of colours constitute my daily look and my ideal evening look, this palette is truly perfect for me. The packaging was so shiny I couldn't resist a selfie! The range of shades means that you can select any few of them to create a gorgeous smokey eye- they all seem to be from the more neutral colour family, meaning you can mix and match without looking like a clown. There isn't a single colour which you would look at as being 'too much'; they are all so wearable, making the £8 price for all these shades ever so sweeter. The colours themselves are really concentrated and strongly pigmented, much more so than some other brands of the same price range. 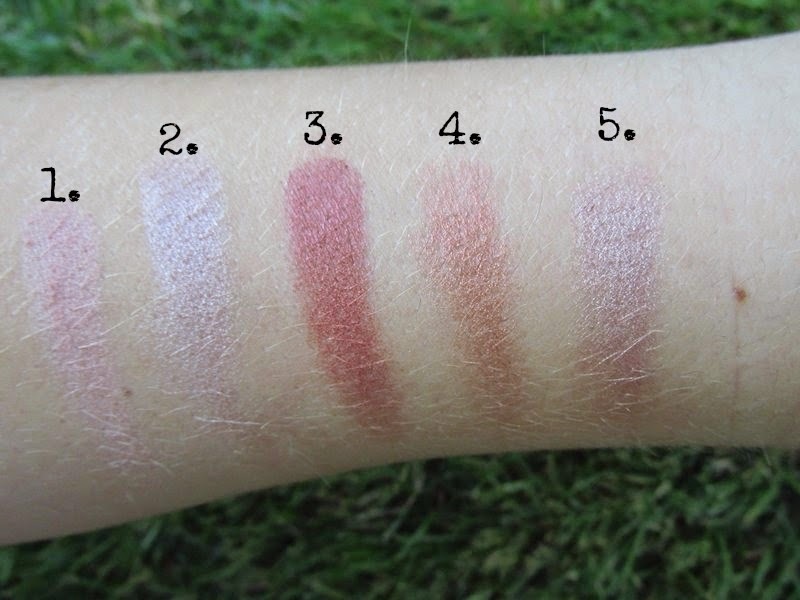 You can tell from some of my swatches that the colour is true to and just as vibrant as that in the packaging, so there are no surprises when you go to apply! 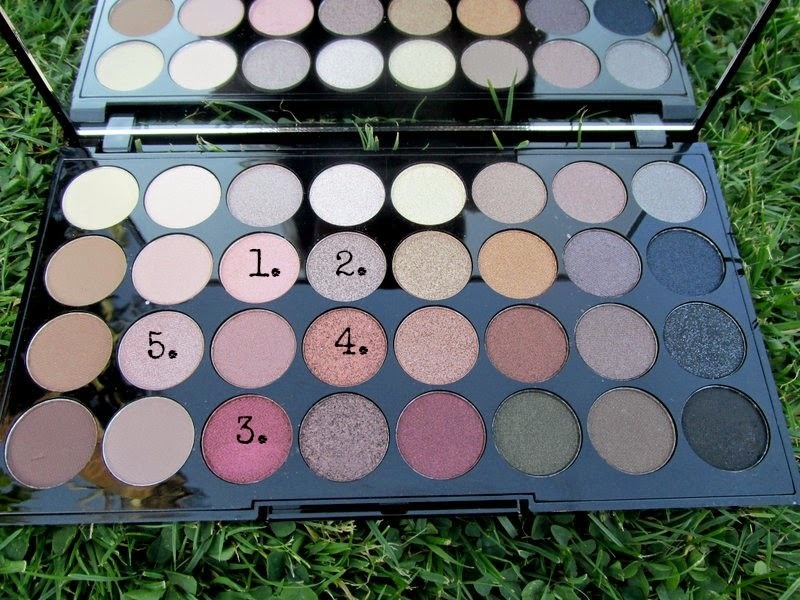 Apart from the colours, what I love most about the Flawless palette is how easily the eyeshadows blend. They are super soft and each colour can be built upon really easily to create some gorgeous smokey looks. I can't get over how amazing the quality of this palette is, and not just because it costs less than a tenner. While I haven't tested the quality of the Urban Decay Naked palettes, I can see that the colours in Flawless make for very good dupes. This is a fantastic product if you like playing around with make-up, having some fun, and want to test out a range of new looks without breaking the bank. They are good quality eyeshadows, and you have such an enormous choice of shades that you'll never need any more neutral palettes! From mattes to shimmers, this Make-Up Revolution palette really is a winner in my eyes. Have you tried any of Make-Up Revolution's eyeshadow palettes? Haha, thank you :) It's perfect for everyday looks!